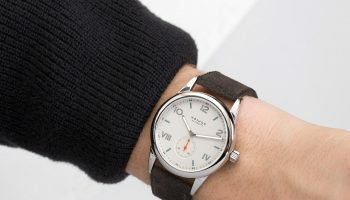 The history of the pocket and wristwatch is a rich one. The number of master watchmakers with minor and major innovations to their name is large. 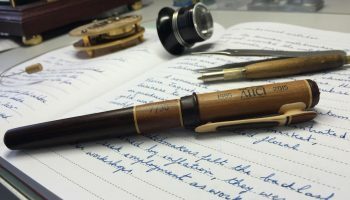 A complete overview would take hundreds of pages, which is why we are limiting ourselves to a number of special inventors and inventions from the far and recent past. Yesterday Part I, today Part II. Yesterday we left you with Abraham-Louis Breguet and his ‘successor’ Nicolas G. Hayek, legendary founder of the Swatch Group and curator of Abraham-Louis’ life’s work. Today we take you to a remote valley in the Swiss Jura where complications are born. The Valleé de Joux is peculiar place. Isolated from the world and partly, maybe mainly therefore, the perfect breeding ground for complicated movements. Many movement-related inventions stem from the Vallée de Joux. 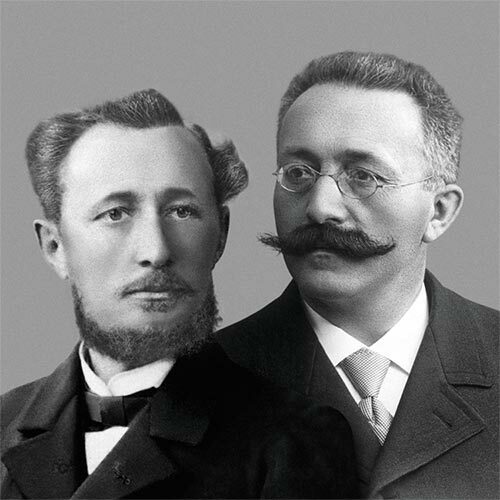 In 1875 watchmakers Jules-Louis Audemars (1851-1875) and Edward-Auguste Piguet (1853-1919) start the maison Audemars Piguet in the valley village of Le Brassus. 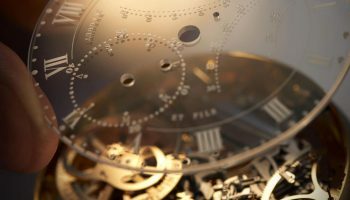 Long before the two men decided to join forces the Audemars and Piguet families had already been involved in the production of movements and pocket watches for more than a century. Over the years the manufacture, which started modestly in the farm of Jules-Louis’ father but was based on a wealth of watch knowledge, grew into one of the most respected producers of haute horlogerie. 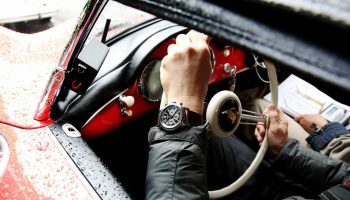 ‘AP’ acquired its excellent reputation by, among other things, being the first to produce an automatic movement with perpetual calendar and moon phase indicator. Other memorable moments in the history of the maison are the ‘firsts’ of the dead beat seconds (seconds hand that makes an exact jump every second instead of the usual gliding motion) in 1921, the first skeletonised watch that stems from 1934 and in 1957 AP was the first to present a watch equipped with a perpetual calendar; an astonishing achievement in miniaturising a classic complication. 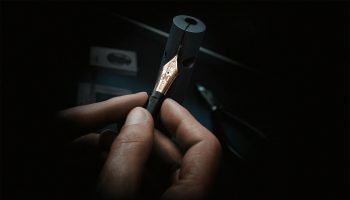 More recent innovations are the use of forged carbon for the manufacture of watch cases and a proprietary, highly energy-efficient escapement that is also shock resistant. Watch inventors are not by definition people from the distant past. The modern age has also spawned movement innovators, like Ludwig Oechslin (1952) for example. 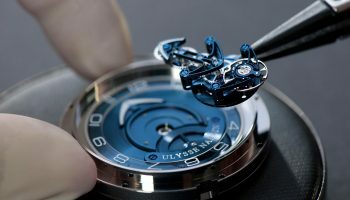 Ulysse Nardin is a Swiss watch house that used to specialise in ultra-accurate marine chronometers, but the wave of the Quartz Crisis threatened to drown the company. In 1983 Swiss entrepreneur/adventurer Rolf W. Schnyder (1935-2011) threw Ulysse Nardin a lifeline just in time, by buying the watch house. 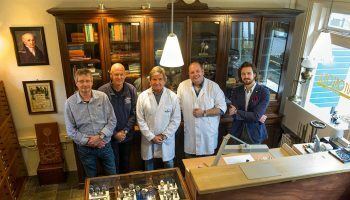 What Schnyder bought was an abandoned and destitute mess, but master watchmaker Jean-Jacques Haldimann was still there in the manufacture. It was Haldimann who told Schnyder that if he wanted to make Ulysse Nardin great again he would have to come up with a completely new concept. 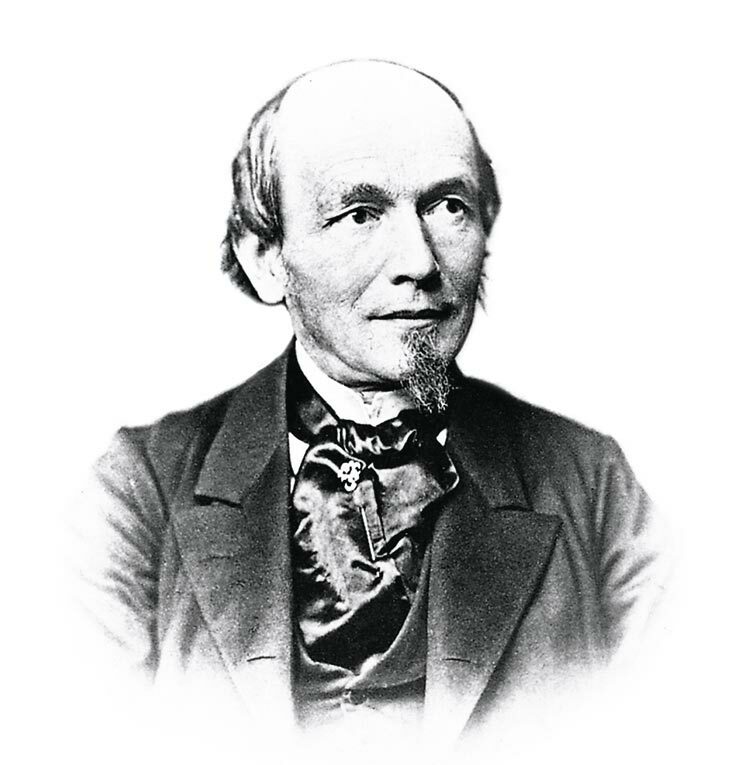 And Haldimann knew who was capable of doing so: independent watchmaker Jörg Spoering. Schnyder took off to talk to Spoering and, in his atelier, saw a bizarre astronomical movement that drew his attention irresistibly. However, the astrolabium wasn’t made by Spoering but by his trainee, Ludwig Oechslin, who rarely showed his face. Three weeks later Schnyder and Oechslin got together and the new owner of Ulysse Nardin asked whether the watchmaker was able to build his astrolabium in wristwatch size. 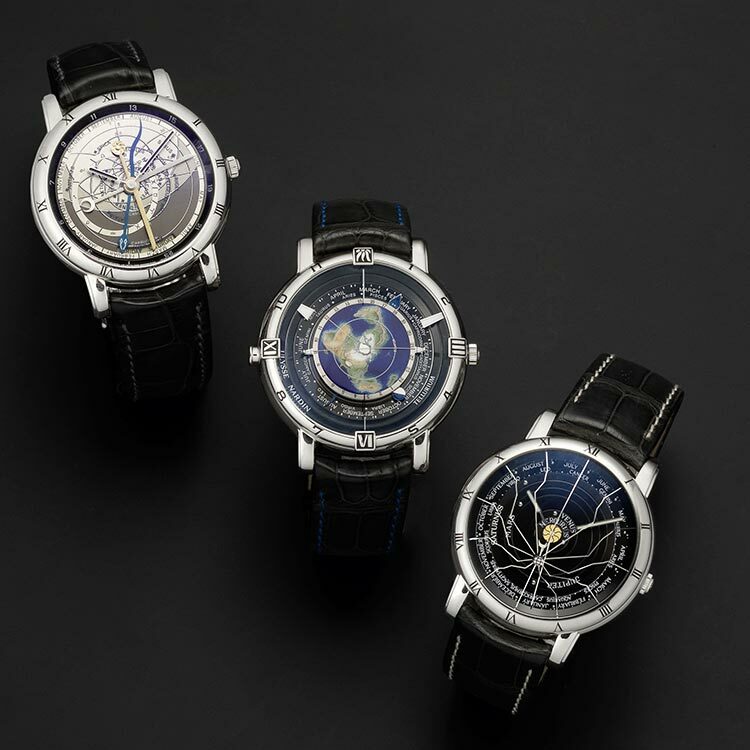 Oechslin said he could and in 1985 the Astrolabium Galileo Galilei was released, then the most complicated watch in the world. The Planetarium Copernicus followed and the ‘Trilogy of Time’ was completed with the Tellurium Johannes Kepler. 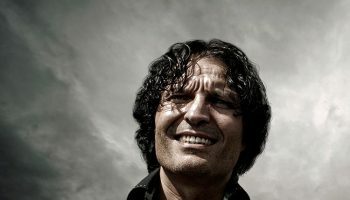 The first year of the new millennium was the moment for another first, the extravagant and strikingly different Freak. This watch, without a crown and hands but with a carrousel tourbillon, may be considered the world’s first expression of the kind of modernist watch art that we are seeing today in brands like MB&F and Urwerk; nouvelle horlogerie avant la lettre. 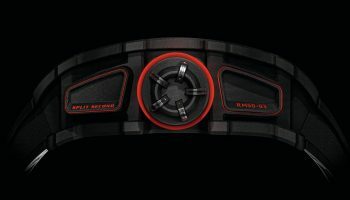 The pure design in which the complicated, highly unconventional movement also shows the time can be seen in one of the most creative – if not the most creative – innovations of the 21st century. The Dual Direct escapement, designed in-house and featuring cogwheels of extremely smooth silicon, requires no lubrication; a first in watch history. And watch history has a future ahead full of more inventors and their inventions.